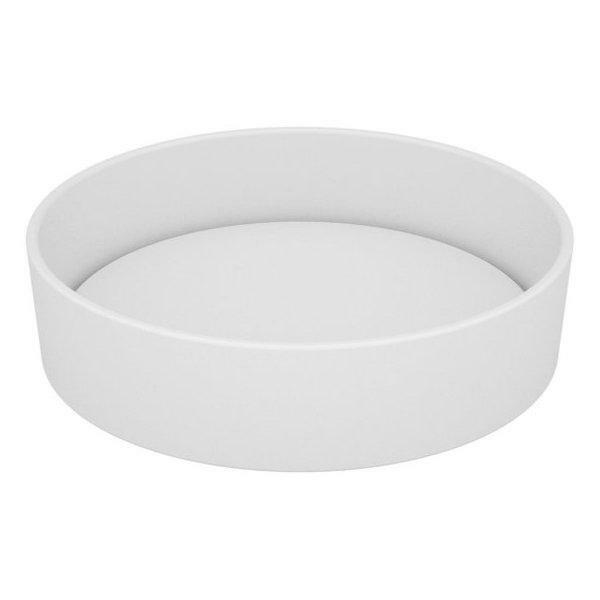 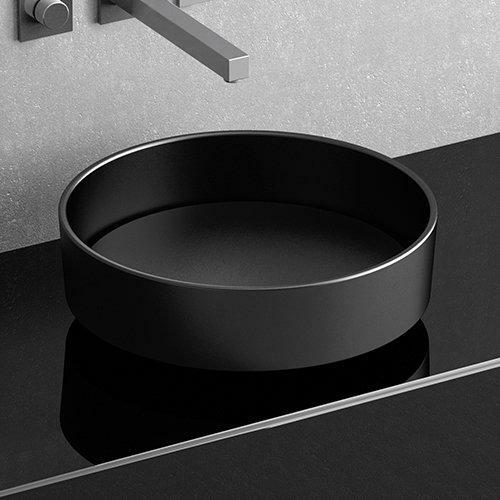 RHO VISION round countertop washbasin in Pert® a technological polymer of extraordinary quality, combining a low specific weight with high mechanical resistance. 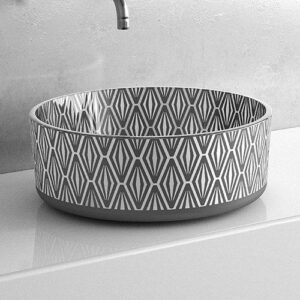 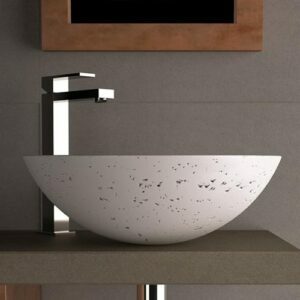 Its specific shape with raised base, is giving a leap to design, easening cleaning at the same time. 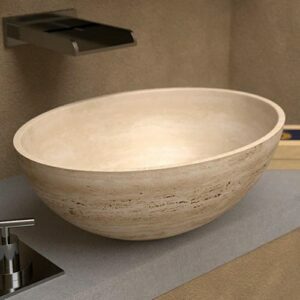 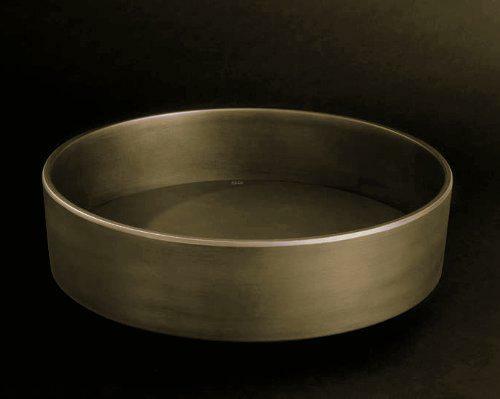 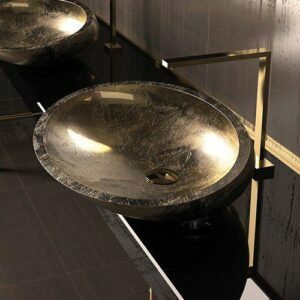 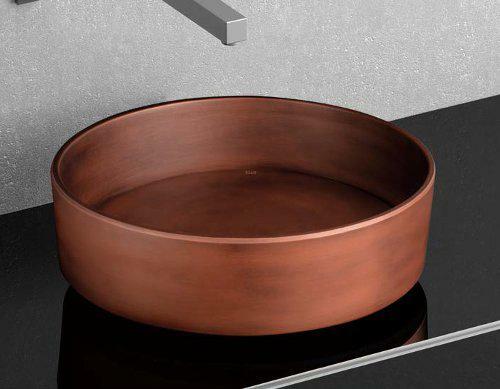 Is completed by the round cover, which fills the inner surface of washbasin, hiding the waste and offering a simply unique look at the water outflow. 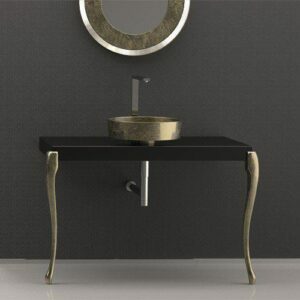 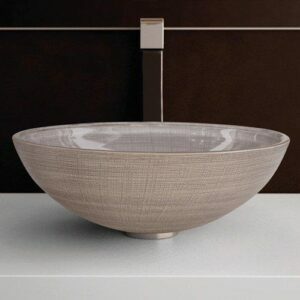 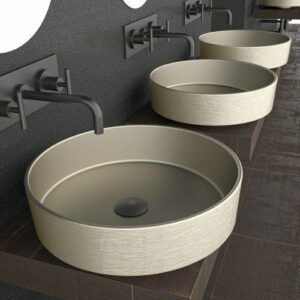 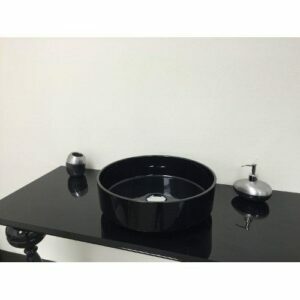 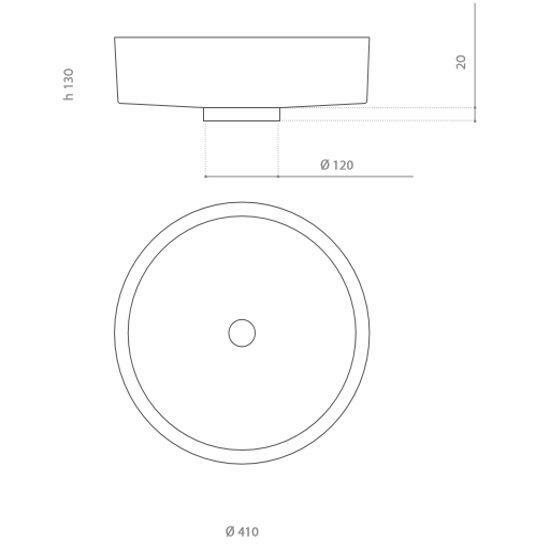 RHO VISION wash basin is proposed in the colours: white, black, copper and bronze.